Check out our two locations! Come For Relief, Explore the Wellness Lifestyle! Maximum Performance Solutions is designed to help people of all ages and backgrounds achieve maximum performance. It doesn't matter if it's on the playing field or at work. The goal is the same. Get your body to achieve its maximum performance level. With Maximum Performance Solutions, you get the most technologically advanced testing system ever developed. It all starts and ends with the FlexDx software. The provided muscle testing device sends signals to your computer and the software using Bluetooth (TM) technology. The software registers the scans and develops a report letting you know which muscles are functioning at a lower level than others. By determining a muscle deficiency, you can then train the weaker muscles to build enhanced endurance, strength, and power. For athletes, this means that your body can function at a higher level. You can eliminate your fatigue as a game goes on. That means there's a better chance you make your free throws at the end of the game. You have a better chance of harnessing the power to hit the game-winning home run. You're in a better position to score the game-winning goal. At the end of the game, you have the competitive advantage over the competition. But without the technology from MPS, things will just stay the same. So what are you waiting for? 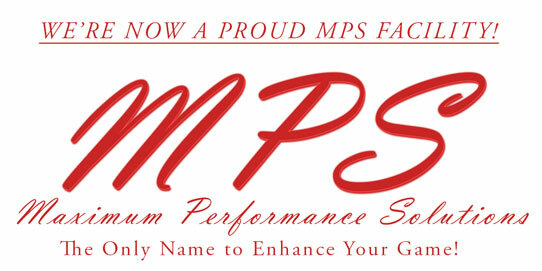 Learn how MPS can help you get the competitive edge today! Find out more about the system here. Disclaimer:The entire contents of this website are based upon the opinions of Family Wellness and Rehab, SC, unless otherwise noted. Individual emails are based upon the opinions of the respective author(s), who retain(s) copyright as marked. The information in the individual emails and on this website are not intended to replace a one-on-one relationship with a qualified health care professional and are not intended as medical advice. They are intended as a sharing of knowledge and information from the research and experience of Family Wellness and Rehab, SC and its community. Family Wellness and Rehab, SC encourages everyone to make their own health care decisions based upon their own research and in partnership with a qualified health care professional. * Statements have not been evaluated by the Food and Drug Administration. Statements are not intended to diagnose, treat, cure or prevent any disease.